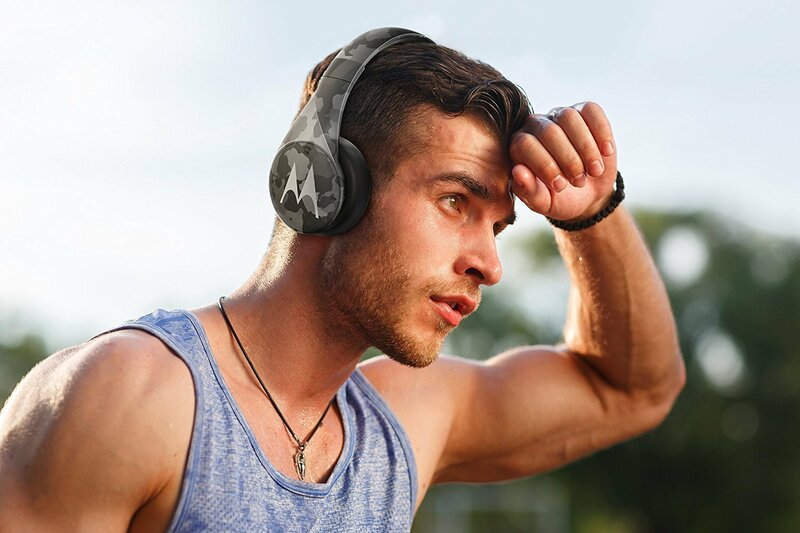 Motorola Pulse Escape+ offer a studio quality performance and wireless freedom. Featuring high-quality drivers with noise isolation it provides 20 hours of playtime. The premium finishes and water-resistant design lets you take them wherever you go. The best cost benefit. Battery good, sound clear, comfort excellent! These sound great for their price! Very comfortable on the ears too. 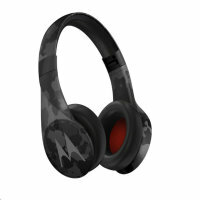 The highly acclaimed on-ear headphones by Motorola ensure your music is represented in the finest quality, far beyond that of what the price may suggest. 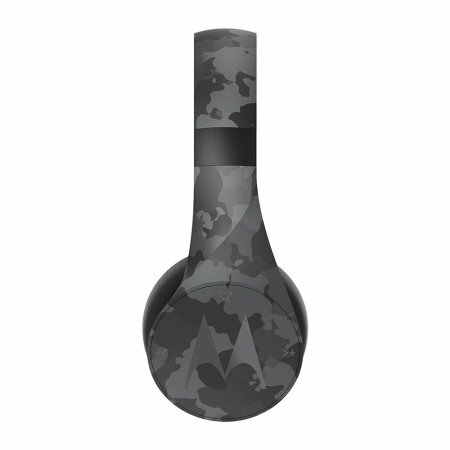 Featuring a Black Camo design and foldable ear cups, this set of on-ear headphones produces beautiful, balanced sound, with impressive bass response. Tuned for dark and warm sound and pleasing bass response, these headphones have been rigorously tested to ensure that a consistent, balanced sound is produced. Motorola Pulse Escape offers a studio quality performance with a Bluetooth 4.1 technology allowing you to stay wireless, but there is also a 3.5mm AUX jack in cable supplied for a wired experience. Nothing should get in the way of the music you love, the noise isolation feature in Motorola Pulse Escape+ helps to block out the world around you so you can hear the music more clearly and the powerful 40mm drivers will provide superb sound. 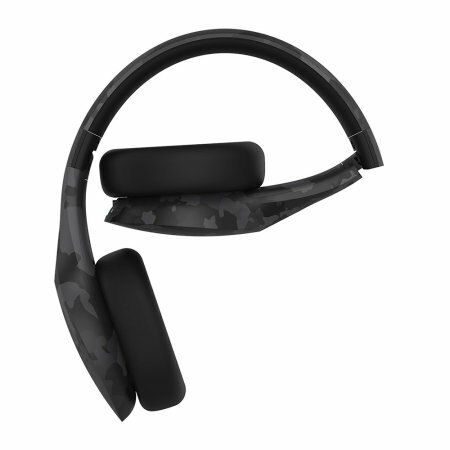 The premium finishes and a water-resistant design allows you to use your headphones wherever you go. The Pulse Escape headphones feature IPX4 sweat and water resistance so you can confidently wear it in the rain during outdoor activities or at the gym. The built-in mic means that you will never miss a call when you're rocking about, the inline microphone allows you to switch to a call mid-song so you can stay in touch while listening to your favourtie music.